On Sep 6th, 2018, Lenovo PC Supplier Quality Forum 2018 was held successfully in Qiandao Lake, Hangzhou. More than 100 outstanding enterprises and 200 industry elites gathered to discuss the way towards intelligent and digital revolution. 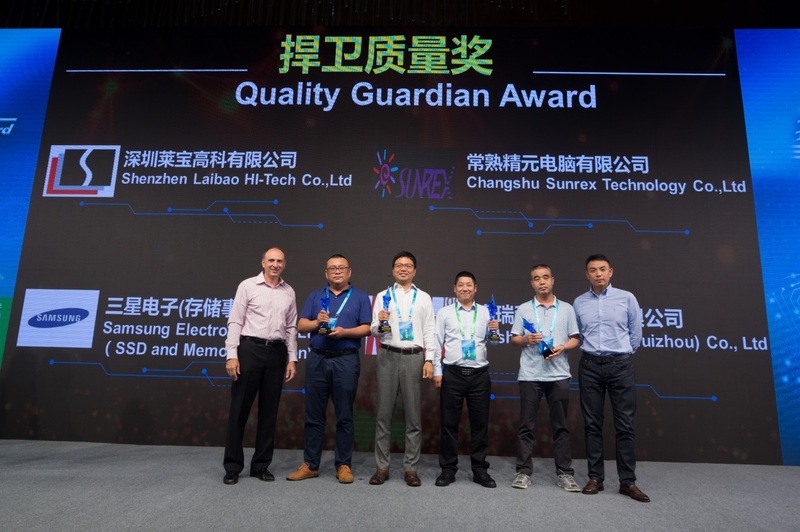 Ka Shui Group was awarded the “Quality Guardian Award” issued by Lenovo during the forum. Ka Shui Group is committed to meeting customers' expectations and needs as well as providing excellent products and services all the time. This award is attributed to the Group's quality policy with persistence of whole participation, system implementation, continuous improvement, quality assurance and comprehensive services. Apart from the stringent quality policy, Ka Shui Group has R&D Central Laboratory which specializes in research and testing service for high performance nonferrous light alloy. The laboratory has been accredited the ISO/IEC17025 international testing and laboratory calibration certification in 2008. This laboratory can provide authoritative testing services such as mechanical testing, photoelectric property testing, hazardous substances testing etc. and offer effective technical support for product quality control. Ka Shui Group sincerely thanks Lenovo Group for its recognition and support.